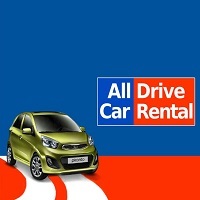 Looking for affordable car rentals? Well, come directly to us. At Om Tours And Travels, we are instrumental in offering dependable car & coach rental services to the travelers across Bhopal (Madhya Pradesh, India). Our cars are well-maintained, spacious, and well-equipped. Our fleet includes compact cars, economy cars, luxury cars, standard cars, MUVs & SUVs. Along with this, we are also providing excellent wedding car rental services to the married couples. These cars are available for hire at the most reasonable charges.